Ya puedes consultar las ofertas más recientes en Hostelería y Restauración para hacer prácticas en hoteles de 4 y 5 estrellas de EEUU. Pueden presentar su candidatura a estas ofertas tanto estudiantes como jóvenes profesionales de estos sectores. Si quieres presentar tu candidatura, envía a info@travelingua.es cuanto antes tu CV en inglés (siguiendo las indicaciones del Resumé Checklist) y tu formulario Cover Sheet. Park Hyatt Washington DC (www.joinparkhyattwashington.com) 12-month Food and Beverage – Server and Greeter Positions Available *** New The hotel is a top destination for high profile people in the exciting city of Washington D.C. The hotel is close to the popular Georgetown neighborhood which features great shopping and restaurants. Public transportation is easy and affordable in this city. This world-class hotel is modern yet comfortable. With a Tea Cellar offering rare and vintage tea selections, spa inspired bathrooms, and a celebrated restaurant—the Blue Duck Tavern—Park Hyatt Washington offers guests a truly unique experience. Applicants interested in Park Hyatt need to have 6+ months of work experience at a high end hotel and advanced English skills. Because this is a world-class hotel, the Park Hyatt has very high standards and in addition to work experience and English level, candidates must possess a warm, enthusiastic, and positive attitude. Newport Hotel Group (http://newporthotelgroup.com/) 12-month Rooms Operations Rotation *** New Newport Hotel Group is a family-owned management company, primarily focused on the hospitality industry. Training will be offered at the following Newport Hotel Group properties: North Conway Grand Hotel (New Hampshire), Inn on the Square (Cape Cod), Hyannis Harbor Hotel (Cape Cod), Ocean Mist Beach Hotel & Suites (Cape Cod), Newport Beach Hotel & Suites (Rhode Island), and Holiday Inn Express (Rhode Island). Flexibility is important as the training program provides exposure to more than one Newport Hotel Group property. Interns/Trainees will start at one hotel property and then transition to other Newport Hotel Group properties throughout the course of training. This is a great opportunity to gain understanding of different hotel operations within the organization. Housing is provided and competitive pay. Fairfield Inn & Suites by Marriott Key West (http://www.fairfieldinnkeywest.com/) 12-month Hotel Rotation This beautiful Marriott hotel in the Florida Keys is in a tropical setting and close to the area’s popular attractions. Key West is a renowned tourist attraction due to its laid back environment, outstanding restaurants, recreational activities, and unique island culture. 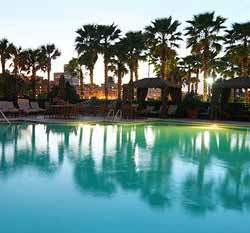 The hotel features more than 100 redesigned guest rooms and suites, including poolside accommodations. Completely updated as part of an extensive, $7.5 million renovation, the hotel rooms offer exceptional service in an outstanding location in Key West, Florida. Savannah Marriott Riverfront (www.marriott.com/savrf) 12-month Front Office and Night Audit Savannah Marriott Riverfront is a full service hotel and features over 36,000 square feet of meeting and event space and regional dining and cocktails at Blue, A Savannah Bistro or the Blue Bar and Atrium Bar. Our Junior and Executive suites and our Concierge level rooms and lounge offer luxurious accommodations that rival the finest of Savannah hotels. The hotel has interns and trainees from around the world. It has high service expectations and it is important that participants are flexible and have a willingness to learn. The hotel is known for quality and features 391 guest rooms. French Lick Resort (www.frenchlick.com) 6-month Culinary *** New This is a great opportunity to train at a luxurious and elegant resort in the Midwestern part of the United States. Nestled in the Hoosier National Forest, this valley has long been an attraction because of the many mineral water springs found here. 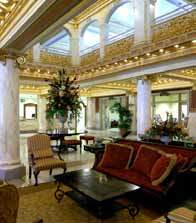 French Lick is 2 ˝ hours from Indianapolis, Indiana and 1 ˝ hours from Louisville, Kentucky. Free housing! Westin Savannah Harbor Golf Resort & Spa (http://www.westinsavannah.com/) 12-month Culinary Westin Savannah Harbor Golf Resort & Spa is a four star hotel located in the heart of Savannah, Georgia . Hip and historic, robust and refined, Savannah is where you’ll find amazing architecture, spooky cemeteries and rich history—along with global sophistication, funky nightlife and fabulous food. It’s where history resonates into the present day, and where memories are still being made. This waterfront resort hotel with spa and golf course is on Hutchinson Island, and is a water-taxi ride away from historic downtown Savannah. The hotel features three different restaurants ranging from fine dining to casual fare. This is a great opportunity to develop culinary skills in a professional, yet fun, environment! The hotel hosts interns from around the world and are committed to the success of the program.